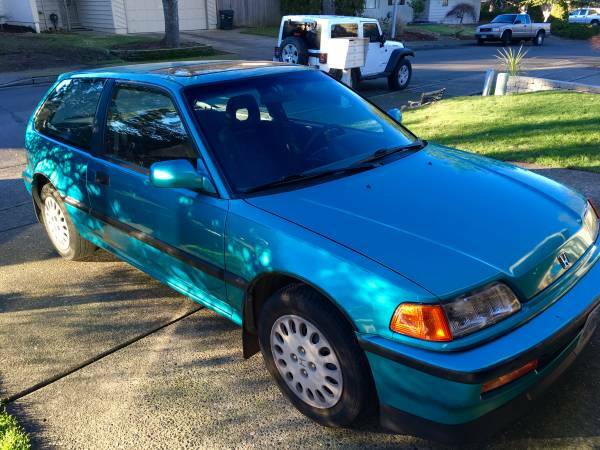 The fourth generation Honda Civic is not a car that you find in good original condition very often -- it seems that most have been driven/smashed into the ground or pimped out by Mountain Dew chugging teenagers. Thankfully, a few have escaped the shopping cart dings and fart-can mufflers that roam the parking lots of American strip malls. Find this 1991 Honda Civic Si offered for $3,800 in Beaverton, OR via craigslist. For a 25 year old car with almost 150k miles on the odometer -- this thing looks really nice. 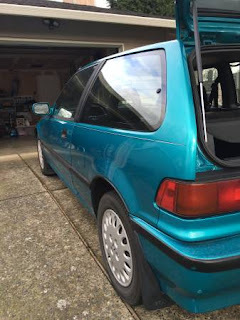 The seller claims he liberated this car from the original older lady owner (cliche much?) a few months ago and was going to do some kind of B-series motor swap with some ill Monster Energy stickers on the side, but common sense prevailed and he is passing on this mostly stock example to someone else. 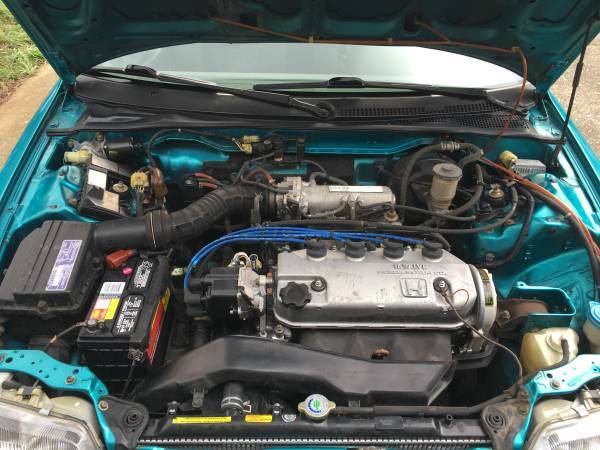 The original D16A16 1.6 liter 16-valve SOHC 4-banger with 108 horsepower looks nice and stock. It is tucked transversely and mated to the front wheels via a 5-speed manual. 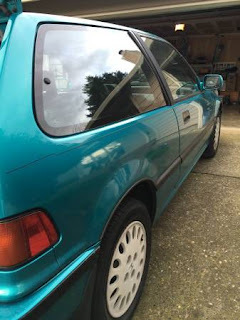 The seller admits that he has added a few non original parts to the car during his ownership, but it is limited to a MKII front lip, SI-R center console, amber corners, door speakers, pioneer CD player, and super bright LED gauge lights -- however, the original parts are included with the car for those looking to take this to a concours event. The interior is really nice for the age, and while this does have those dreaded automatic neck-hacking seatbelts (sorry, Mrkwong...) it seems like a fine place for driving otherwise. I love these. First generation with IRS. A friend has had one since new, and I have a standing offer for it in case he decides to get rid of it. The seat belts aren't the dreaded mouse belts, but they are on the doors and have inertial locks on both retractors so you can't cinch them down. 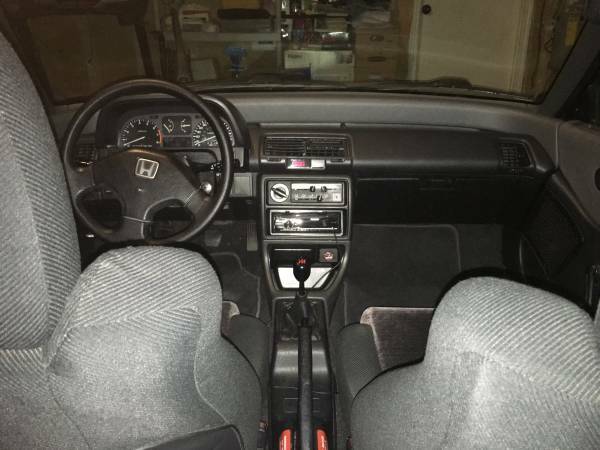 Center console was a dealer option and pretty rare. Practically a unicorn! Wish it was in SoCal! I would drive it another 150K ! Makes me think I should have asked more than $4k for my one owner example with 104k on it.